The legislation would require that the Congressional Budget Office and Joint Committee on Taxation do a “dynamic” analysis of major legislation….The dynamic calculation would be supplementary and not replace the current official scoring methodology, but the obvious long-term goal is to require official revenue estimates to incorporate “Laffer curve” effects in order to make it easier to cut taxes and harder to raise them. 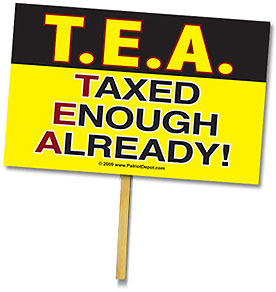 ….My concern is that the Republican effort is just a smokescreen to incorporate phony-baloney factors into revenue estimates to justify unlimited tax cutting….It already has a very well-financed Center for Data Analysis that the chairman of the House Budget Committee, Paul Ryan of Wisconsin, used to analyze his budget plan last year, bypassing the Joint Committee on Taxation and C.B.O. Moreover, my memory is still fresh regarding the documented Republican effort in 2003 to suppress internal estimates of the cost of the Medicare Part D program. Medicare’s chief actuary, Richard Foster, has testified to the pressure that was put on him by a Bush administration political appointee, Tom Scully, which was documented by the inspector general for the Department of Health and Human Services. “Dynamic” analysis has been a hobbyhorse for years among movement conservatives, all of whom are convinced that the CBO is engaged in a liberal vendetta to prevent tax cuts by issuing reports showing that tax cuts will….produce less tax revenue. Sneaky! Dynamic scoring, they’re convinced, will show just the opposite, and blow the field wide open for more and more glorious tax cuts. As usual, though, it’s not clear to me what the purpose of this legislation is. Are they seriously trying to get it passed? That seems unlikely. Are they going to use it as trade bait in future budget negotiations? Maybe. Or are they doing it solely because it’s a hobbyhorse among the tea party crowd and they want to show that they’re truly dedicated to the cause? My guess is Door #3. But you never know. They might actually be serious about this stuff. UPDATE: A reader points out something I should have mentioned: CBO has done dynamic scoring before on its own, and the results have been pretty undramatic even with a Republican appointee in charge. For example, CBO’s analysis of the 2004 budget is here, and the results of dynamic scoring are in Table 16. Result: maybe a bigger deficit than standard scoring, maybe a smaller deficit. And the differences were small no matter what. Of course, maybe that just means they weren’t using the right dynamic model. I’m sure there’s a more agreeable one around somewhere.